And a rifle and a volume of the law. who’s quicker on the draw. 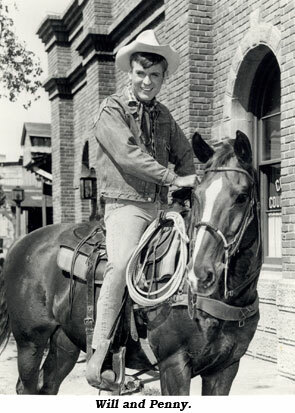 Warner Bros. and ABC premiered “Sugarfoot” starring Will Hutchins as Tom Brewster, an out-west law school correspondence student, on September 17, 1957. 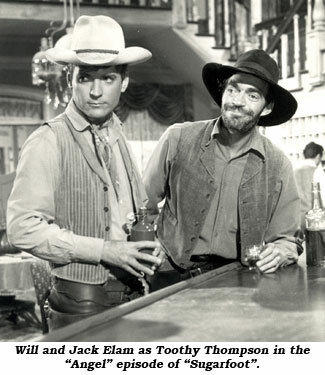 Some of his adventures had a comedic flair (as does Will himself) while others were deadly serious. 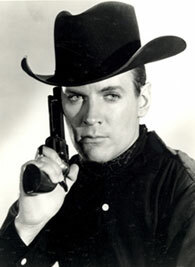 Will Hutchins went on to star in “Hey Landlord” for NBC in ‘66, and “Blondie” for CBS in ‘68. 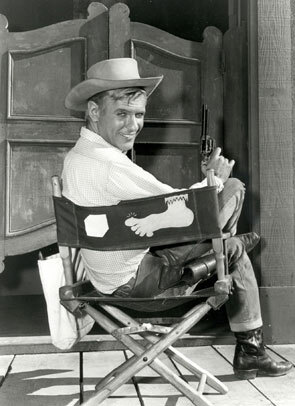 He also managed to make several movies—“Merrill’s Marauders”, “Lafayette Escadrille”, “No Time For Sergeants”, “Claudelle English”, even a couple with Elvis, “Spinout” and “Clambake”. 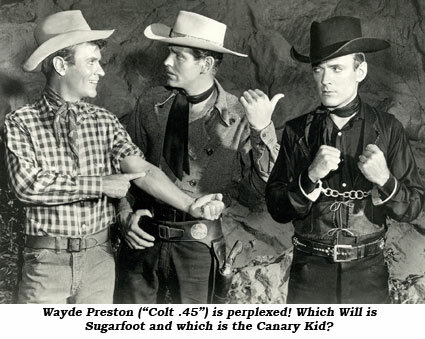 Will guest starred on “Gunsmoke”, “77 Sunset Strip”, “Maverick”, “Alfred Hitchcock Presents” and “Perry Mason” among others, but he’ll always be best remembered as that easy lopin’ Sugarfoot.